We create modern, gorgeous flower arrangements for events large and small. Our style is organic and flowing, showcasing the natural beauty of the incredible flowers and unique greenery we have the luxury of working with. We're a little bohemian, a bit edgy--a couple of free-spirits who relish in the artistry of creating something truly unique for each of our clients. Planning flowers for a wedding is commonly one of the first times that couples have the opportunity to work with a florist. Our goal is to make the process as simple and easy as possible. With our experience in flowers, color, and design--along with your vision--we can guide you into bringing a beautiful and cohesive look to your special day. In addition to flowers we carry a large selection of design accessories for our events that really put the finishing touches on your special day. We have large ceremony-specific pieces like a birch chuppah, large driftwood towers, big granite urns and a hanging industrial-chic heart--we are always growing our inventory and we love building site-specific elements to make your wedding day truly your own. To enhance the reception we have lanterns, branches, nature-inspired decor, beautiful containers, candles and candelabras perfect for any style. We have curated what we think is an outstanding collection of accessories that add that special touch of detail. Careful planning and communication is essential to planning your wedding from afar. 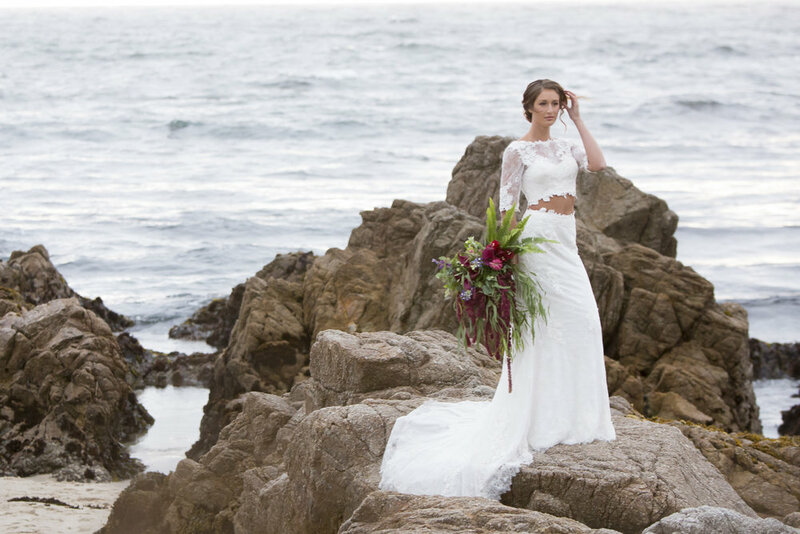 Our area's natural beauty lures many couples to dream of a romantic coastal or redwood wedding. We will work carefully with you to make sure that your wedding and flowers are exactly what you are hoping for. We offer elopement packages, please click here to find out more.